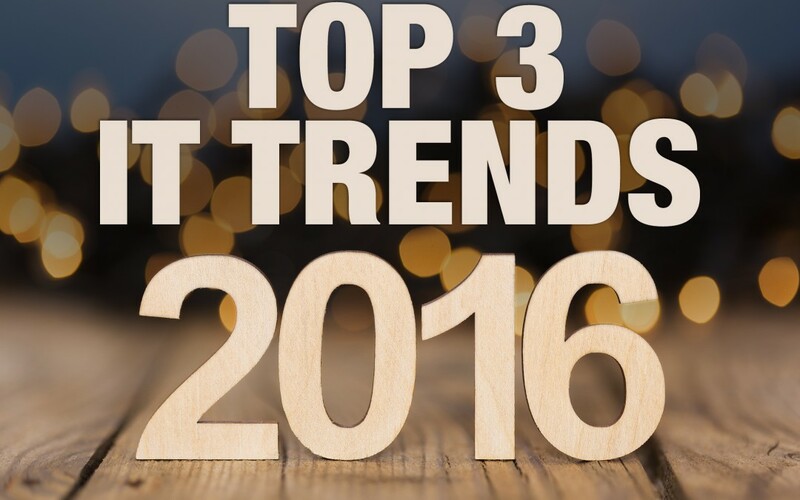 With the start of a new year, all the big guys like Gartner, Forbes, Booz Allen & Hamilton, along with many others are predicting the biggest IT trends for 2016. Some of these technology trends are really impressive, like self-driving cars and the advancement of artificial intelligence in robots. These are some seriously cool stuff that may change our day-to-day lives before we know it. But, most of these trends have very little relevance to the average business. Based on research combined with our own experience, here are some trends in information technology more relevant to businesses. An increasing amount of organizations are migrating to modern technologies, connecting not only the data within their organization but also to data external to their business (what we at Spieker Point refers to as exostructure data). According to Gartner, in 2016 alone, 5.5 million new devices are expected to become connected every day; each one of them generating data that needs to go somewhere in order to provide value to business leaders. As the number of connected systems grows the amount of data will grow too – a lot. And with this data constantly moving around and trading hands, the question then becomes if security is able to keep up with this growth. Since 2005, nearly 5000 company data breaches have compromised over 815 million records containing information about medical histories, Social Security numbers or bank data. Just because solutions become more and more sophisticated doesn’t mean we leave hackers and security threats further behind – they are just as real as ever before and cyber security is simply not something that can be taken lightly. As customers become more and more savvy, an increasing focus is put on the entire customer experience and the rise of the Chief Customer Officer (CCO). According to Zendesk, 87% of customers think brands need to put more effort into providing a seamless experience. As customers become more sophisticated, they are expecting the ability to problem solve on their own. Empowering your customers to self-serve with customer portals responds to their needs, makes them feel in control, and most importantly, offers a seamless experience with your brand. If your company is ready to take advantage of the increased corporate visibility that connectivity brings, ensure your data is properly protected, or further your customers experience with customer portals, give us a call and get we’ll get you on the right track for 2016!